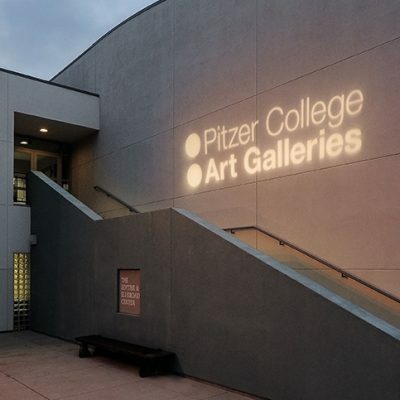 Claremont, Calif. (May 10, 2016)—The National Endowment for the Arts has awarded Pitzer College Art Galleries an Art Works grant to present the exhibition A Moderate Proposal, co-curated by Pitzer College Art Galleries Director/Curator Ciara Ennis and artist Jennifer Vanderpool. The exhibition will run from January to March 2018. A Moderate Proposal explores the forms and effectiveness of manifestos in the twenty-first century. The exhibition asks whether, in today’s world, manifestos’ public declarations of intentions and viewpoints have the power to shift thinking both within and beyond the art-world and inspire effective, lasting change. Directed towards everyday solutions, the manifestos that make up A Moderate Proposal will be produced by artists, students and local community members. Generated before and during the exhibition, these manifestos will tackle current sociopolitical and cultural predicaments while suggesting alternative ideas for social change. Conceived in three parts, the exhibition will be staged at Pitzer College Art Galleries and two satellite sites—the California Rehabilitation Center in Norco, CA, and First Street Gallery Art Center of the Tierra del Sol Foundation in Claremont, CA. The multiple manifestos will challenge artistic, academic and media-driven norms as well as notions about normalcy and criminality. Artists Elena Bajo, Mike Bode, Max King Cap, Nuttaphol Ma, Elana Mann and Skip Snow are among those invited to produce initial manifestos. “We look forward to working with the NEA and greatly appreciate the agency’s support for this project,” Ennis said. The Art Works grant, which supports the creation of art and presentation of new and existing work, lifelong learning and public engagement with the arts, is part of more than $82 million in funding to local arts projects and partnerships that was announced today by NEA Chairman Jane Chu. The NEA is an independent federal agency that funds, promotes and strengthens the creative capacity of communities by providing all Americans with diverse opportunities for arts participation.